Although the text of the retail theft statute is ponderous to say the least, my approach to defend such charges is generally the same. My goal in all cases is to obtain a dismissal. 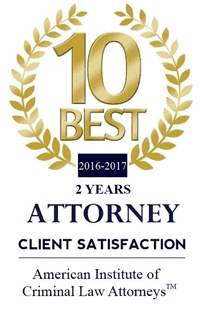 The most common method I use to achieve that result is to inquire as to whether my client is eligible to participate in a deferred prosecution. Most counties have a deferred prosecution program for first offenders which in many cases achieves a dismissal without a plea of guilty. It is pivotal that I learn as much about my client as possible prior to approaching the prosecutor on the case. I request information about my client which often includes: (1) educational background; (2) criminal history or lack of criminal history; (3) military service; (4) marital status; (5) employment status; (6) whether the client has children he/she is taking care of; (7) volunteer work my client has done for the community; and (8) any other information my client deems important. If my client is not eligible to obtain a dismissal via a deferred prosecution I will then request the prosecutor to tender his/her best offer. I will discuss the offer with my client along with the strength of the case and probability for success at trial. I will assist my client with a straight forward cost benefit analysis and discuss the pros and cons of going to trial verses entering a plea of guilty. In many cases it is still possible to avoid a conviction on my client's record even if he/she pleads guilty. If the prosecution offers, and the Judge adheres to a sentence of supervision; upon successful completion of the sentence the charges are dismissed without adjudication of guilt and a conviction for the offense is avoided pursuant to 730 ILCS 5/5-6-3.1(e)(f). (8) Obtains or exerts unauthorized control over property of the owner and thereby intends to deprive the owner permanently of the use or benefit of the property when a lessee of the personal property of another fails to return it to the owner, or if the lessee fails to pay the full retail value of such property to the lessor in satisfaction of any contractual provision requiring such, within 10 days after written demand from the owner for its return. A notice in writing, given after the expiration of the leasing agreement, by registered mail, to the lessee at the address given by the lessee and shown on the leasing agreement shall constitute proper demand. (b) Theft by emergency exit. A person commits theft by emergency exit when he or she commits retail theft as defined in subdivisions (a)(1) through (a)(8) of this Section and to facilitate the theft he or she leaves the retail mercantile establishment by use of a designated emergency exit. then the trier of fact may infer that the person possessed, carried away or transferred such merchandise with the intention of retaining it or with the intention of depriving the merchant permanently of the possession, use benefit of such merchandise without paying the full retail value of such merchandise. To "conceal" merchandise means that, although there may be some notice of its presence, that merchandise is not visible through ordinary observation. (d) Venue. Multiple thefts committed by the same person as part of a continuing course of conduct in different jurisdictions that have been aggregated in one jurisdiction may be prosecuted in any jurisdiction in which one or more of the thefts occurred. (e) For the purposes of this Section, "theft detection shielding device" means any laminated or coated bag or device designated and intended to shield merchandise from detection by an electronic or magnetic theft alarm sensor. (1) A violation of any of subdivisions (a)(1) through (a)(6) and (a)(8) of this Section, the full retail value of which does not exceed $300 for property other than motor fuel or $150 for motor fuel, is a Class A misdemeanor. 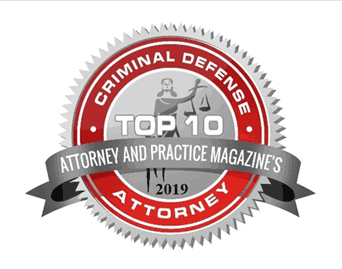 A violation of subdivision (a)(7) of this Section is a Class A misdemeanor for a first offense and a Class 4 felony for a second or subsequent offense. Theft by emergency exit of property, the full retail value of which does not exceed $300, is a Class 4 felony. (2) A person who has been convicted of retail theft of property under any of subsections (a) (1) through (a)(6) and (a)(8) of this Section, the full retail value of which does not exceed $300 for property other than motor fuel or $150 for motor fuel, and who has been previously convicted of any type of theft, robbery armed robbery, burglary, residential burglary, possession of burglary tools, home invasion, unlawful use of a credit card, or forgery is guilty of a Class 4 felony. A person who has been convicted of theft by emergency exit of property, the full retail value of which does not exceed $300, and who has been previously convicted of any type of theft, robbery, armed robbery, burglary, residential burglary, possession of burglary tools, home invasion, unlawful use of a credit card, or forgery is guilty of a Class 3 felony. (3) Any retail theft of property under any of subdivisions (a)(1) through (a)(6) and (a)(8) of this Section, the full retail value of which exceeds $300 for property other than motor fuel or $150 for motor fuel in a single transaction, or in separate transactions committed by the same person as part of a continuing course of conduct from one or more mercantile establishments over a period of one year, is a Class 3 felony. Theft by emergency exit of property, the full retail value of which exceeds $300 in a single transaction, or in separate transactions committed by the same person as part of a continuing course of conduct from one or more mercantile establishments over a period of one year, is a Class 2 felony. When a charge of retail theft of property or theft by emergency exit of property, the full retail value of which exceeds $300, is bought, the value of the property involved is an element of the offense to be resolved by the trier of fact as either exceeding or not exceeding $300. Law Office of Jason B. Stevens, P.C. 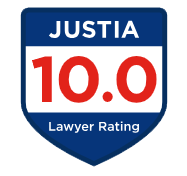 has offices in Arlington Heights, IL and serves clients throughout the Chicago area, including: Cook, Lake, DuPage, McHenry, Kane and Will counties.